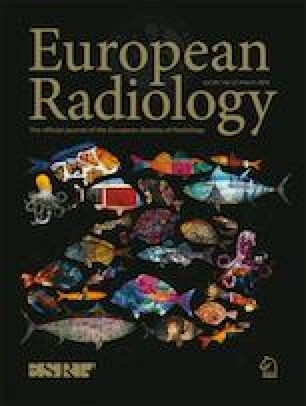 To develop and validate a radiomics predictive model based on pre-treatment multiparameter magnetic resonance imaging (MRI) features and clinical features to predict a pathological complete response (pCR) in patients with locally advanced rectal cancer (LARC) after receiving neoadjuvant chemoradiotherapy (CRT). One hundred and eighty-six consecutive patients with LARC (training dataset, n = 131; validation dataset, n = 55) were enrolled in our retrospective study. A total of 1,188 imaging features were extracted from pre-CRT T2-weighted (T2-w), contrast-enhanced T1-weighted (cT1-w) and ADC images for each patient. Three steps including least absolute shrinkage and selection operator (LASSO) regression were performed to select key features and build a radiomics signature. Combining clinical risk factors, a radiomics nomogram was constructed. The predictive performance was evaluated by receiver operator characteristic (ROC) curve analysis, and then assessed with respect to its calibration, discrimination and clinical usefulness. Thirty-one of 186 patients (16.7%) achieved pCR. The radiomics signature derived from joint T2-w, ADC, and cT1-w images, comprising 12 selected features, was significantly associated with pCR status and showed better predictive performance than signatures derived from either of them alone in both datasets. The radiomics nomogram, incorporating the radiomics signature and MR-reported T-stages, also showed good discrimination, with areas under the ROC curves (AUCs) of 0.948 (95% CI, 0.907-0.989) and 0.966 (95% CI, 0.924-1.000), as well as good calibration in both datasets. Decision curve analysis confirmed its clinical usefulness. This study demonstrated that the pre-treatment radiomics nomogram can predict pCR in patients with LARC and potentially guide treatments to select patients for a “wait-and-see” policy. • Radiomics analysis of pre-CRT multiparameter MR images could predict pCR in patients with LARC. • Proposed radiomics signature from joint T2-w, ADC and cT1-w images showed better predictive performance than individual signatures. • Most of the clinical characteristics were unable to predict pCR. The online version of this article ( https://doi.org/10.1007/s00330-018-5683-9) contains supplementary material, which is available to authorized users. This work was supported by the fund of Science and Technology Project of Shanxi Province (No. 20150313007-5). The scientific guarantor of this publication is Xiaotang Yang.